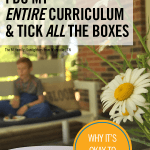 I read this article and wanted to share it with you: Why It's Okay That I Do My Entire Curriculum & Tick All the Boxes https://blog.sonlight.com/do-it-all.html. I’m going to share a secret with you. It’s not something I usually confess to strangers for fear of backlash, but I’ve recently been convicted that maybe I should be more open. Maybe, I suddenly realized, I need to be willing to prove that people like me are normal, too. So here goes: I’m a Sonlighter and yes, I do it all. I do the entire curriculum as designed, checking all the boxes and reading all the books. Can I tell you how freeing it is to admit that? 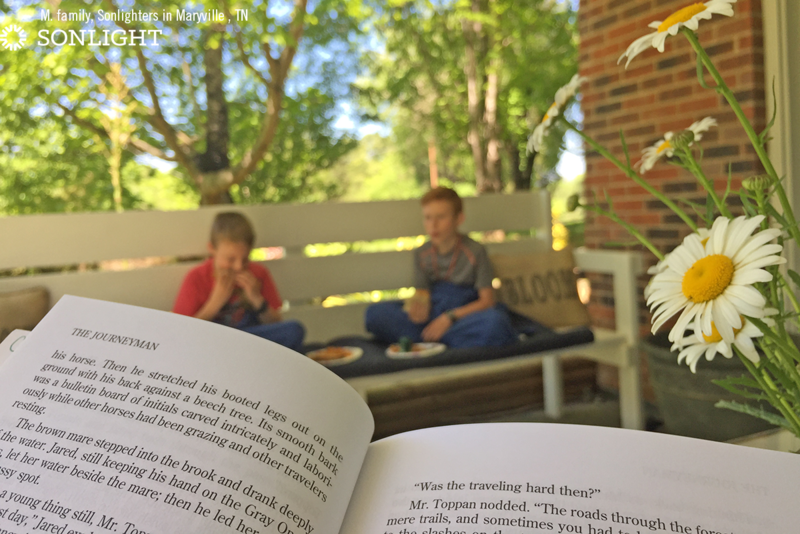 In most places where homeschoolers congregate—at co-ops, in Facebook groups, at library book sales—I play down the fact that I do the whole Sonlight program. No, I don’t shelve science. I don’t automatically ax half the Read-Alouds. And I don’t set the Bible aside because a church program fills that need. Barring incident (and yes, we’ve definitely had incidents!) we do a whole History / Bible / Literature program top to bottom—even if it takes extra time to get there. 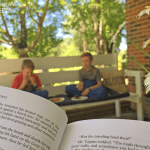 I say all of this not to shame the homeschoolers who approach their Instructor's Guides like a buffet line, picking and choosing what fits their family, their season of life, and their needs. 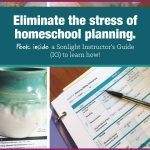 Instead, I say it to encourage moms who might not even take on homeschooling with Sonlight after hearing from so many others how overwhelming and book-heavy it is. 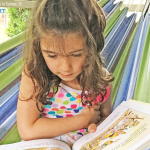 I also say it to let other moms, like me, know that it’s okay to enjoy the process of homeschooling so very much that you dive headfirst into every resource available to you. See, I think we’ve reached a point in the culture of homeschooling where it’s becoming a badge of honor to embrace such a minimalist approach to education that we cast suspicious eyes on mothers who don’t hold to the same ideas. We’re celebrating paring back, going bare bones, and simplifying so much that families like mine, who enjoy the rich banquet of a Sonlight education, are almost ashamed to admit that yes, at the end of the week, we’ve checked all the boxes. I’m here to say that neither approach is right… or wrong. 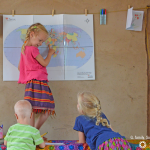 Just like God created each individual family to reflect His glory with a specific calling to be fulfilled, our homeschools are hothouses for the background He wants to supply for our children. We’re all on a unique path. Why, then, is it not acceptable for one family to prune Readers, and another to strive to finish them all? Why is the admission that no, we didn’t take December off but instead stayed the course unwelcome in some circles? Neither is better. They’re just different. Here’s another thing I want you to know: there’s absolutely nothing special about me that makes a full Sonlight package easier. Like you, I’m juggling multiple children, dirty dishes, and trying to get supper on the table at a reasonable hour. I’ve got a preschooler who interrupts math lessons, a husband who travels for a month at a time, and several children with learning disabilities. I have three in various out-of-home therapies, extracurricular sports for two, several in music lessons, and other obligations that mean packing everyone up and car-schooling several afternoons a week. There’s nothing special about the way I feel on Monday mornings as I face a long week ahead, unless you count my relief at the fact that I have an open-and-go Instructor’s Guide holding my hand through it all. I’m not exceptional in any way—trust me. I’m also not trying to outshine any one or to minimize the fact that homeschooling is hard work. I’m just doing what I feel called to do, and to do it to the best of my ability. I’m trusting that you’re doing the same, no matter what your day looks like. I’m not judging your wake up time, the number of math lessons your kids do in a week, or whether or not you count audiobooks as Read-Alouds. I have enough on my own plate without worrying about whether or not you feel handwriting is a valuable skill. 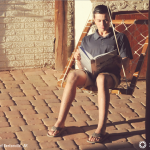 A full Sonlight package happens to be a great fit for our family—our Goldilocks curriculum. Not too much, not too little, but just right. We tend to keep pace with the Instructor’s Guide, and don’t struggle to complete the scheduled work. We school year around. We average one program per year. For some folks, it’s too much. They need to cut back. And, I’ve never met these folks, but I bet someone out there adds tons extra, feeling like they want even more. And we’re all normal. We’re all doing it the right way. Be proud of who you are as a homeschooler! 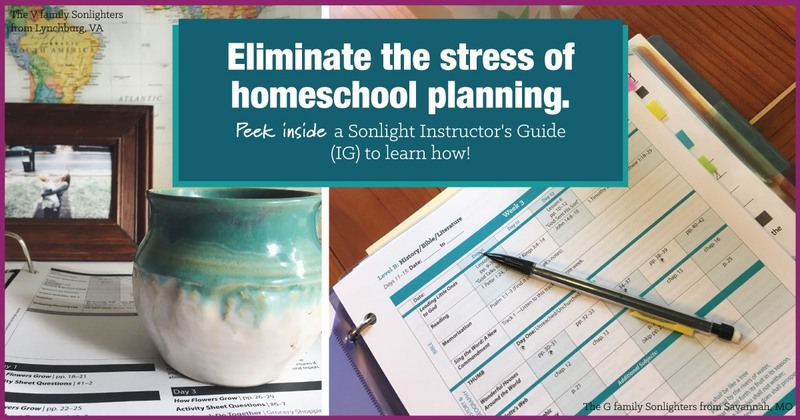 Whether you do it all or homeschool buffet-style, Sonlight can work for you. Go to SmoothCourse to explore your options. I am the same. We did Core p4/5 & C last year for K & 2nd grade and this year we are combining both kids (1st,3rd) into Core A so that next year we will be ready for Cores B,D for 2nd/4th grade. We love Sonlight and we check all the boxes as well! No shame! Ditto! I'm proud of our box checking game plan. Drop Read Alouds??! They're what make Sonlight amazing! "I have enough on my own plate without worrying about whether or not you feel handwriting is a valuable skill." Bwahahahahaha! I agree! I also check all the boxes in the 3 separate grades (Kindergarten, Second, and Fifth). It is arduous to read and do everything for three grades but worth it. We even buy the additional English resources to get extra practice. I believe my kids are getting a challenging, well rounded education. Amen sister! We do it all as well and my kids are not suffering...in fact they are thriving! This works for our family but I too understand the pressure from people thinking we are doing too much! I've started all my kids in math a year early and they are just plugging along. Is it easy, of course not...yet I've found most things that are good do not come easy! One mom laughed when I told them we were on day 102 of our year...I felt like I had to make excuses for how we homeschool. 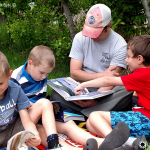 Thank you for writing this, and sticking up for the check-box checking, do school to catch up on Saturday, fight through the tough days, and celebrating the joy of learning moms out there who are doing what they are called to do for their family! Thanks so much for this. We too check all the boxes and I've never met anyone else who does, so figured I must be strange. Honestly, I've wondered why Sonlight even sells the grade pkgs (even tho I love them) because I'd never found anyone else who uses all Sonlight. Sonlight is so perfect for us. Not too much and not too little. Goldilocks describes it perfectly. We do it all, not because we feel like we have to, but because we love it so much. Wish I'd found it years ago.